Online: Enter promotional code: U7CWBCYR at checkout. Online: Use Hot Topic coupon code: YASPLZ at cart page. Sign up to print a 30% coupon valid on your next purchase, you can also show the coupon on your mobile device. Sign Up is at the bottom of the page. Note: Hot Topic will email you the coupon within 48 hours. Printable Coupon: This is a birthday coupon, some Hot Topic stores still accept them. Online: Enter Hot Topic coupon code: AC17APRHT in their promo box at checkout. Must Show coupon on your phone or print and present it at the cashier. Get 10% off storewide not combinable with other coupons. Extra 10% Off select regular, sale & clearance items in store. In Store Shopping Tip: Hot Topic is offering 2 for $10 clearance tees while supplies last or until March-31 In Stores Only. Discount will be taken at register in stores. Coupons are not required. 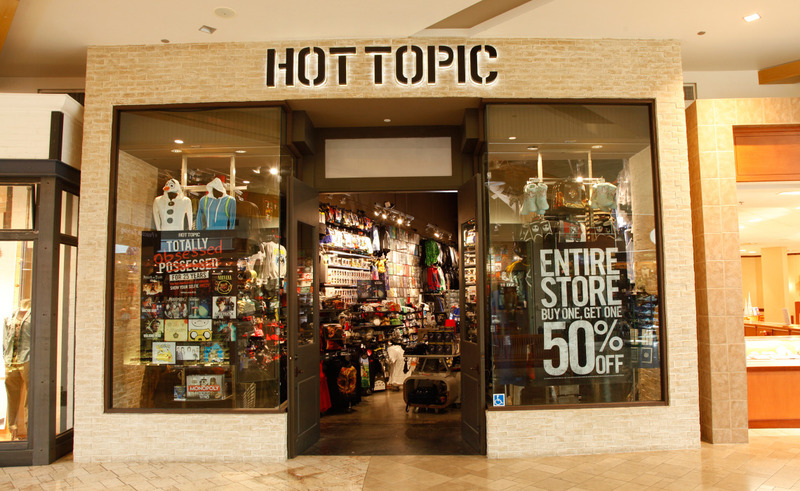 Hot Topic is all about young and hip, they offer a wide range clothing both for girls and guys that are crested with pop culture stylish themes from today's top entertainment brands such as movie themes, favorite artists, popular bands and movies. 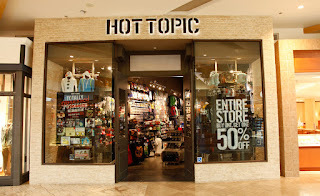 Hot Topic has been around offers clothing, accessories, swimwear, shoes and more from brand names like Levi's and Converse. Teens will definitely love their styles. Save with Hot Topic coupons, $4.99 standard shipping, and everyday free in-store returns.